Here’s the full schedule of ALL Team Nigeria Athletes competing in Track & Field DAY FIVE (Thursday July 31st) at the Glasgow Commonwealth Games. You can catch this LIVE on SuperSports 4, OR follow Making of Champions’ LIVE TWEETS and POSTS throughout the day – stay tuned! African sprint sensation, Blessing Okagbare comfortably led her heat in the women’s 200m to qualify for Thursday’s semi-finals, along with compatriot, Dominique Duncan whose race drew the curtain on Nigeria’s participation on Day 4 of track and field events at the Hampden Park Stadium in Glasgow, Scotland. Okagbare looked supremely comfortable on Wednesday night, easing down some distance before the finish line to a time of 22.99s in Heat 1, leaving her competitors trailing in her wake. Duncan, representing Nigeria in an individual event for the first time, posted 23.89s in Heat 6 to place third behind Canada’s Kelly Hyacinthe (23.29) and Jade Bailey of Barbados (23.75). Expectations are rife that Blessing is all but set to add the 200m title to the 100m won on Monday, when the final comes up on Thursday evening. She will first have qualify from in Heat 1 of the Semis at 6pm, while Duncan competes in Heat 2. Duncan has the fastest PB of 22.82 in her heat but will have to significantly improve on her first round time to be assured of a place in the final, as she faces Jamaica’s Schillonie Calvert (PB 22.88) who post the 3rd fastest time of 23.14s in the heats. Nigeria’s men did not fare as well in the 200m as the duo of Seye Ogunlewe and former 100m national champion, Obinna Metu crashed out in the heats earlier on Wednesday. 22-year old Ogunlewe finished in 4th in Heat 2, which was won by Lesotho’s Mosito Lehata in 20.68s, while the more experienced Metu also finished 4th in Heat 10 in 21.19s. Nigeria’s 200m Champion Divine Oduduru wasn’t entered in the event, following his remarkable wind-aided 20.25s run to win Silver at the World Juniors in Oregon last week. In the women’s long jump, Ese Brume’s leap of 6.29m in the qualifying round ensured her safe passage in 12th place to Thursday’s final, where she will have to contend with England’s Shara Proctor and Canada’s Christabel Netty, 2nd and 4th respectively in the Commonwealth this year – Brume’s Season’s Best of 6.68m at the National Trials puts her as No.3. Brume’s performance in Glasgow so far is a huge improvement from the World Juniors last week, where she was able to record only one jump of 5.18m. Nigeria’s No.1 in the men’s 400m hurdles Chris Morton qualified as one of the fastest losers in his heat to make Thursday’s final. He returned 49.62s in 3rd and has an outside chance of claiming a Bronze medal, with World Champion Jehue Gordon and South Africa’s Cornel Fredericks (No. 1 in C’wealth Rankings this year with 48.42s) the favourites for GOLD and Silver in the final! In the women’s category, national champion, Amaka Ogoegbunam will run in a strong field which includes World Leader Kaliese Spencer of Jamaica who has posted 53.41s this year, in comparison to the Nigeria’s No.1’s time of 56.77s. Nigeria’s 400 women’s champion, Folashade Abugan was denied a place on the podium as the Jamaicans made a clean sweep of all the medals up for grabs in the 400m at the Commonwealth Games on Tuesday night, while Botswana’s Amantle Montsho who came to the Game as the defending champion was also denied a medal as she finished in 4th. Abugan returned a time of 52.33s while the while newly crowned champion, Stephanie McPherson posted an impressive 50.67s, with compatriots Novlene Williams-Mills and Christine Day following with 50.86s and 51.09s respectively. Montsho just missed out on the Bronze, finishing in 51.10s. In the men’s 110 Hurdles as Alex-Al-Ameen’s time of 13.77s couldn’t win him a medal as he finished in 7th. The 25-year old, who was the runner-up at the Nigerian Trials, had earlier qualified for the final as one of the fastest losers having placed 3rd in his heat behind eventual winner, Andrew Riley (13.47s) of Jamaica and Shane Brathwaite (13.54s) of Barbados. 2014 Nigerian Champion Tyrone Akins had crashed out in the heats earlier in the day, finishing in 4th with 13.75s while Nigeria No. 3 Martins Ogieriakhi who dominated the Domestic AFN Golden League this season finished in 6th in his heat in 14.13s. Sean Obinwa competed in the First Round of the men’s 800m and also failed to qualify for the next stage as he finished 5th with a time of 1:50.59 in a heat that was won by South Africa’s Andre Olivier in 1:47.93s. In the men’s Long Jump Qualifying Round, the duo of Hamed Suleman and Samson Idiata could not sail through to the final as the former recorded No Jump while the latter made a leap of 7.57m which wasn’t adequate to see him through. It wasn’t all doom and gloom though as national 400m Hurdles Champion, Amaka Ogoegbunam qualified as one of the fastest losers in the heats to secure a place in Thursday’s final. Ogoegunam who is making her debut to the Comonwealth Games, returned a time of 56.85s in Heat 3 behind Comonwealth No1, Kaliese Spencer (55.45s) and Australia’s Lauren Wells (55.79s). Blessing Okagbare opts out of Long Jump to chase 200m GLORY @ C’wealth Games! Blessing Okagbare fans could well be in for a treat and a complete spectacle in the women’s 200m at the Commonwealth Games, as the newly crowned 100m Commonwealth Champion is the red hot favourite to complete the sprint double with the 200 metre crown on Thursday night! Such is Blessing’s class beyond the rest of the Commonwealth field in the 200m, that it may simply be Blessing versus the clock. She took Debbie Ferguson’s 100m Commonwealth Games Record on Monday night, and may just take the same woman’s 200m Games Record (22.20s) on Thursday. The big question is: does Blessing just want the GOLD, or does she want to lay down a marker for years to come, by attacking Mary Onyali’s 18-year-old 200m African Record of 22.07 seconds? 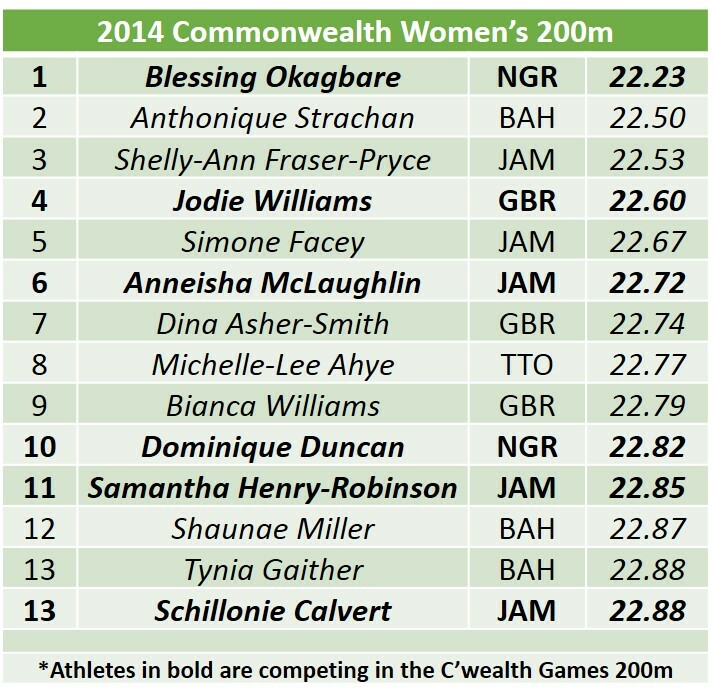 That leaves her main threat once again most likely to come from the Jamaicans – McLaughlin, Henry-Robinson and Calvert, who are 6th, 11th and 13th respectively in the Commonwealth this season, but ALL half a second slower than Okagbare. England’s Jodie Williams is the fastest Commonwealth athlete after Blessing competing in the 200m, after setting a PB of 22.60s this season, and while Williams will be a home nations favourite for a medal, she will almost certainly be fighting with the Jamaicans for Silver and Bronze! An interesting sub-plot is Dominique Duncan’s first outing in an individual event for Nigeria, after switching from Team USA and coming within a hundredth of second to 4x100m Bronze at the World Relays with Team Nigeria! She’s No. 10 in the Commonwealth this year with a PB of 22.82s in April, and if she can replicate that she could also be in amongst the medals. That said, she only ran 23.91s in placing 3rd at the Nigerian Trials in June, so it will be interesting to see what kind of form she is coming into the Games with! Some Okagbare fans will be disappointed to learn that she opted NOT to compete in the Long Jump at these Games – her compatriot Ese Brume competed in the Heats for that event on Wednesday morning, qualifying for the finals which will take place on Thursday evening, in between the women’s 200 metres semis and finals! From a scheduling point of view, it would have been virtually impossible for Okagbare to attempt TWO 200m races and SIX jumps in the Long Jump on the same night! She has taken the wisest decision, as the sprint double will be the far more widely recognised feat than the 100m and Long Jump combination! One might recall that last year, Blessing failed to win a 100m medal in the World Championship final because she had taken 6 jumps the night before to win Long Jump Silver, and didn’t have enough time to recover to successfully execute two rounds of the 100m the next day. Clearly, the ‘scheduling gods’ are not working in her favour – global meet organisers will have to accord her the same privilege that they once showed to the likes of Carl Lewis and Michael Johnson, arranging their schedules around these superstars, if we’re ever going to see her attempt to go for THREE individual medals at major competitions! Blessing is already Africa’s fastest woman ever in the 100m after smashing Glory Alozie’s 14-year-old record last year. The big question on Thursday will be, does she want a ‘Double Portion’ and take the 200m African Record as well? With her 10.85 second 100-metre speed in awesome display on Monday, something tells us that if Blessing decides she wants to re-write the 200 metre history books on Thursday night, she just might! 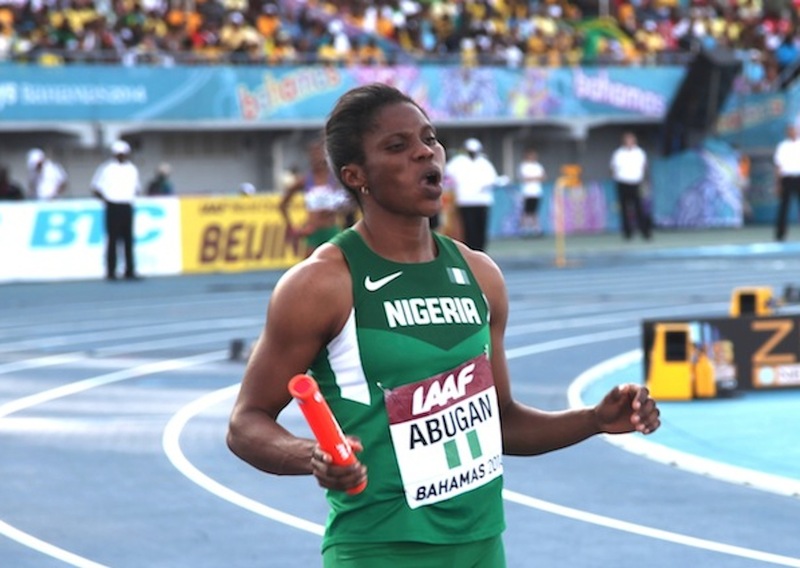 MoC PREDICTION: Barring injury, Nigeria’s favourite daughter Blessing Okagbare will WIN 200m GOLD on Thursday night, and could get the Commonwealth Games Record of 22.20s, but she might not yet be ready to break Mary Onyali’s African Record (22.07s). Even if she doesn’t get the record, we may be about to witness the BIGGEST EVER winning margin in a global 200m final, since a certain Usain Bolt, ofcourse! Dominique Duncan should make the final of the 200 metres, and getting a medal would be a huge boost for the 24-year-old. But can she put three rounds of 200 metres together in two days and run fast enough in the final to be in medal contention? The honest truth is that we have not seen enough of her to make a firm prediction on that just yet! Round 1 of the Commonwealth Games 200 metres kicks off TONIGHT (Wednesday), with Blessing Okagbare in Heat 1 at 9.15pm and Dominique Duncan in Heat 6 at 9.45pm – DON’T MISS IT! The semi-finals start at 6.07pm on Thursday, with the Final shortly after at 8.45pm! Blessing Okagbare’s path to the 100m Commonwealth GOLD – Round 1, Semi & FINAL Races!! Re-live Blessing Okagbare’s path to Commonwealth 100m Glory last night by checking out ALL her runs, from the Heats to the Final! Effortless ease in the Heats and Semis, incredible composure in the Final! Here’s the full schedule of ALL Team Nigeria Athletes competing in Track & Field DAY THREE (Tuesday July 29th) at the Glasgow Commonwealth Games. You can catch this LIVE on SuperSports 4, OR follow Making of Champions’ LIVE TWEETS and POSTS throughout the day – stay tuned! 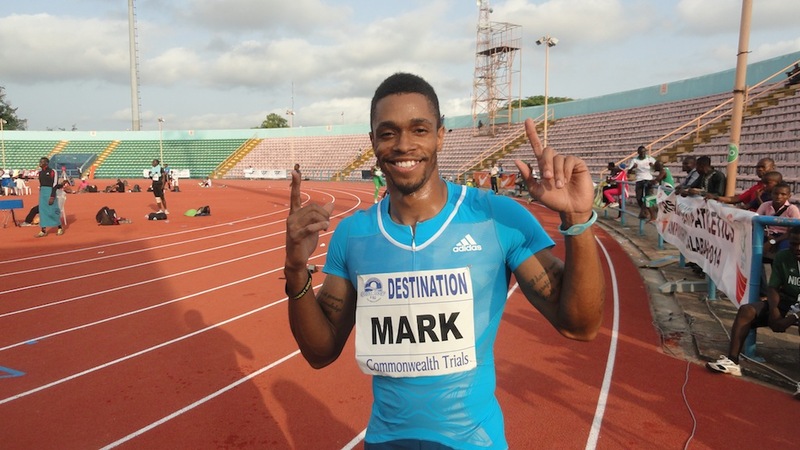 See Making of Champions’ men’s 110m Hurdles Commonwealth Rankings and analysis here! 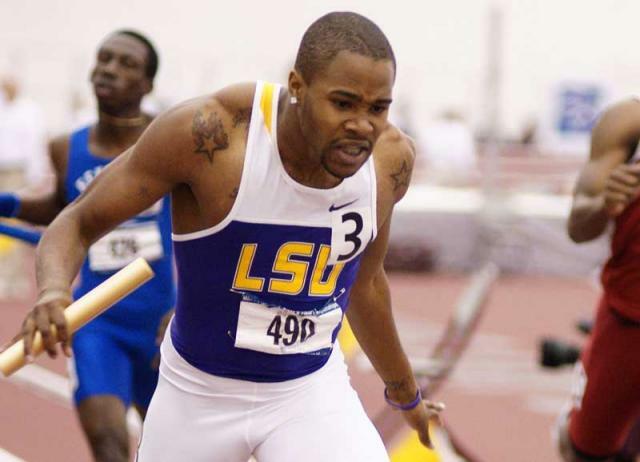 Can Abugan make any impact in a loaded 400m final tonight? Men’s 110m Hurdles Final @ 8.45pm – Can any of Nigeria’s Three in the Heats this morning make the finals? We won’t have long to find out! Blessing Okagbare is 100m Commonwealth Games CHAMPION! Blessing Okagbare, Africa’s Sprint Queen and 100m Record Holder, blasted to the Commonwealth Games 100m Title at Hampden Park in Glasgow on Monday night in 10.85 seconds, the second fastest time of her career and a new Commonwealth Games record! Okagbare, who has concentrated more on the 200 metres this season, came into the Games as No. 3 in the Commonwealth this season with 10.97s, with both Trinidad & Tobago’s Michelle-Lee Ahye (10.85) and Jamaica’s Veronica Campbell-Brown (10.86) ahead of her in the pecking order. However, following Ahye’s withdrawal due to injury after the Heats, the stage was set for a virtual two-horse race between Okagbare and Campbell-Brown. Blessing laid a marker in the Semi-Final with a very easily run 10.93s, which signalled the kind of form that she has come into at the business end of the season. In the final, Campbell-Brown, twice the 200m Olympic Champion but never a Commonwealth Games Champion, was able to stay with Okagbare for the first 50 metres, but after that it was all about Blessing all the way to the line! Following the race she was understandably ecstatic at winning her first major global title, and attributed her ability to remain calm under the pressure from Campbell-Brown to her coach John Smith, who told her to remain patient throughout the race – how does one remain patient for 10.85 SECONDS? So what’s next for Nigeria’s favourite daughter? Well, before the week runs out she will be aiming to become the first Nigerian to win 3 GOLD medals at a single Commonwealth Games! This will not come easy – ordinarily, she would be the favourite to win both the 200m (which she has favoured this season) and the Long Jump (in which she won her first global medal – Olympic Bronze at Beijing ’08), but the Games schedule does not favour her – the finals of the 200m and Long Jump are BOTH on Thursday night, within a couple of hours of each other! That said, don’t bet against her making a successful attempt to double up on the same night, even though she has somewhat de-prioritised the Long Jump this season. Perhaps she can win it in 2 or 3 Jumps, rest for an hour, then go and claim the 200m Crown as well, just as she did in the Shanghai leg of the Diamond League earlier this season? With the imperious form she’s in right now, we wouldn’t be against her doing just that! And we haven’t even mentioned the 4x100m relay starting on Friday. It will be a very busy week in Glasgow for Africa’s premiere athlete – will she have 4 medals by the end of it? We’ll know soon enough! 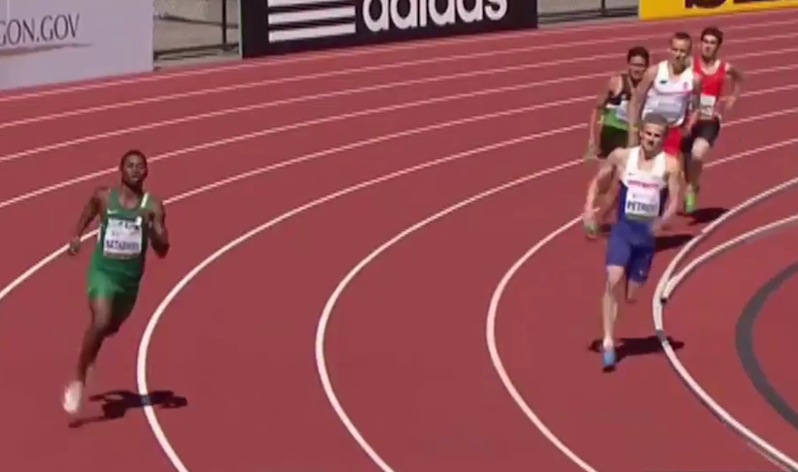 Nigeria throws away 4x400m @ World Juniors…by running ALL of 2nd leg in LANE FOUR! Nigeria’s 4x400m U-20 team at the recently concluded World Junior Championships in Eugene on Saturday was the centre of much ridicule when the runner on the 2nd leg, after receiving the baton with Nigeria leading in the final heat to reach the final, bizarrely stayed in his lane throughout his run! What made this mistake even sadder was that they ended up missing out on qualification for the final, after finishing third in the race in 3:09.37, and missing out on a fastest losers’ spot by just 0.15 seconds!